I always think baking with any vegetable to be healthy, well for me at least. 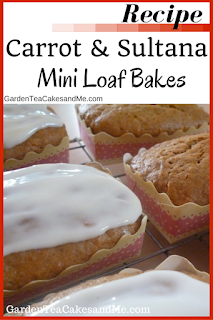 So my Carrot and Sultana mini loaves are made using carrots, sultanas and low fat cream cheese, I’ve done my best to cut back on the extra calories. Normally when baking Carrot Cake I would use vegetable oil but as the cupboard was bare I used, most successfully, light olive oil. I also did not have enough carrot so added sultana's. This recipe is adapted from a Carrot and Orange recipe in a Woman's Weekly cookbook. It also gave me a chance to use my Russian Doll measuring cups. Put the oil, sugar and eggs into a bowl and mix with an electric whisk, until thick and creamy. Add the carrots, flour, bicarbonate of soda and mixed spice. Stir well until all ingredients are combined. 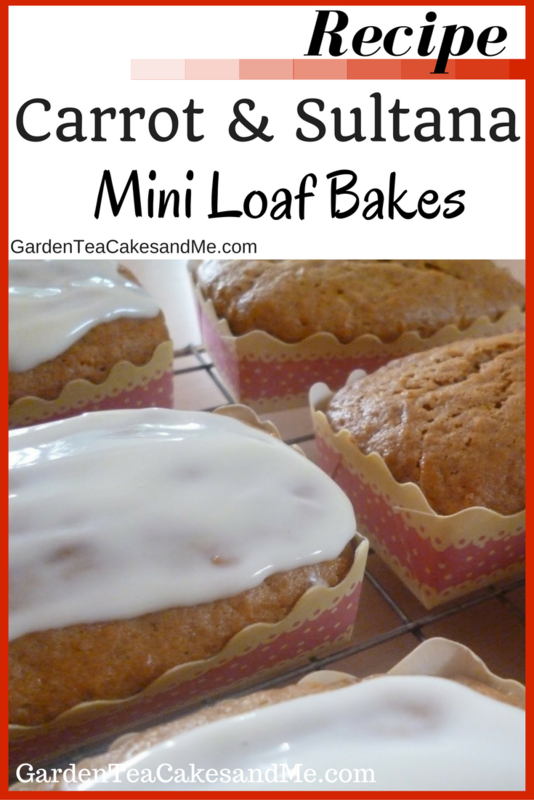 Divide the mixture into your mini loaf cases or standard paper cakes. Leave in baking tray for 5 minutes before placing on a wire rack to cool. Place the cream cheese and icing sugar into a bowl, beat together with an electric whisk until smooth. Spread the frosting onto the loaves or cakes only once they have fully cooled. Tip - Using the low fat cream cheese you may find the frosting slightly runny in consistency, it may help if you place it in the fridge to chill before spreading onto your cakes. Or of course you could use full fat cream cheese. This is my entry into January's Calendar Cakes Challenge the theme this month being New Year, New You! Calendar Cakes is a challenge hosted by Dolly Bakes and Laura Loves Cakes. Healthy and yet so tempting. Delicious recipe. The sponge was very light indeed, this recipe is certainly a keeper. thank you Laura the sultanas really did add to the cake and very plump and fruity they were too. They look wonderful! Can I ask you where you got the mini loaf cases? They are lovely cases aren't they, I only had the one pack and have just 3 of the cases left. I'm afraid I don't know where they are from though, I'm always being given cake cases as gifts and I think these may have been from my mum. i love baking.. almost alternate day i bake a cake.. i wil surely try this one..plz tell me what is sultana..
Hello Krishna thanks for your question. A sultana is a dried grape they are also known as raisins. Something tells me the healthy start to the year won't last - ha ha ! 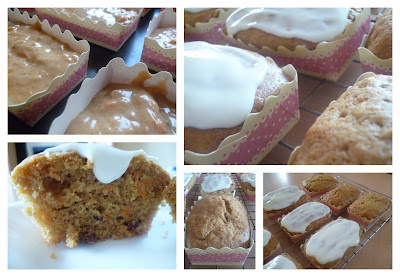 Carrot and Sultanas go well together and these homely little loaves look very pretty. Thank you Mich this is as healthy as I get when it some to cake. Hi, awesome mini loaves. Love the frosting, look really good. I'm your new follower. Have a nice day.